Hello! How was your weekend! Ours was perfect. 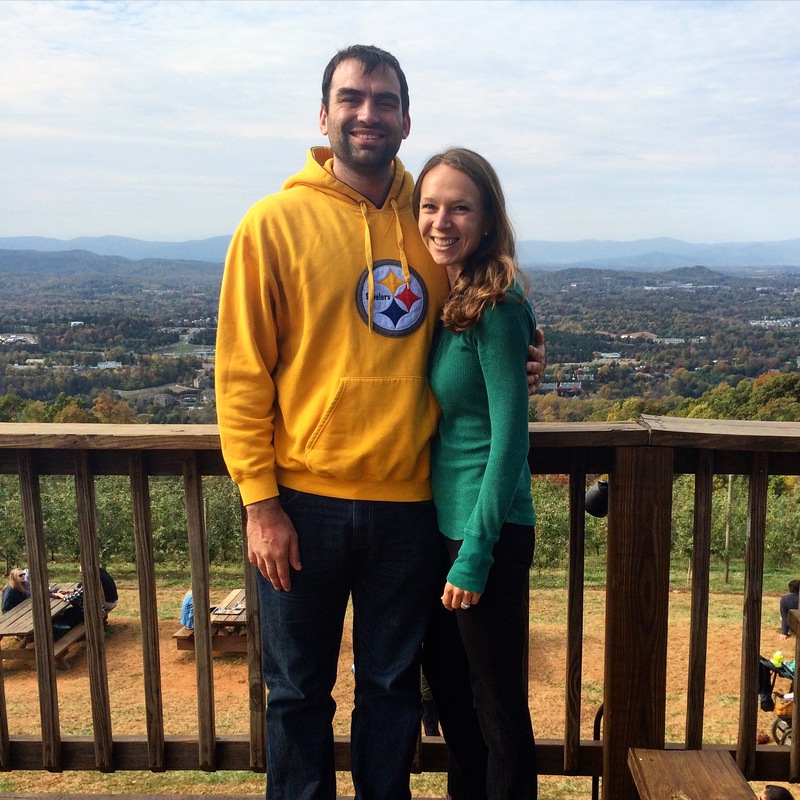 Ben and I took our annual trip to Carter Mountain Orchard for apple picking! The weather was gorgeous, the kids were out in full swing, and the apple cider doughnuts were warm and doughy as usual! 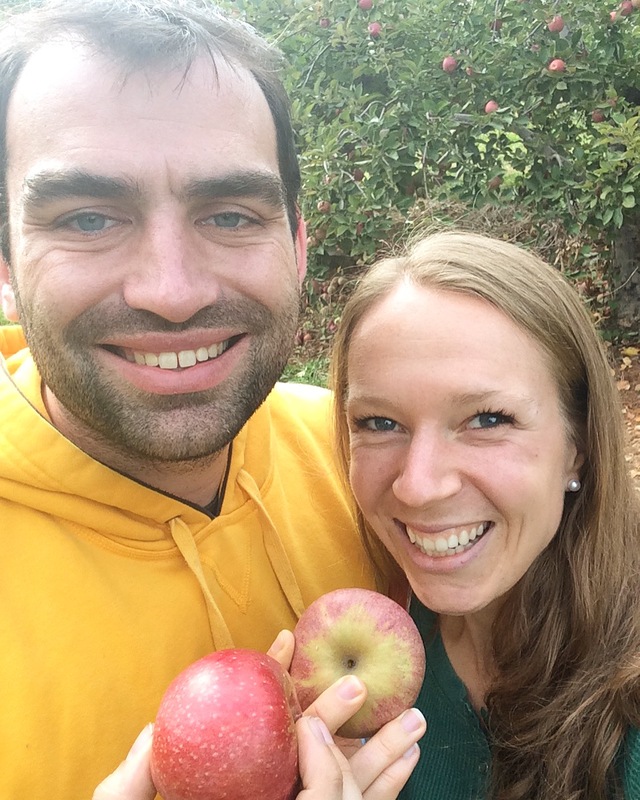 We ended up picking about 35 Winesap and Stayman apples (I always go for those two because we can’t always get them here in Durham and they’re my favorite!). 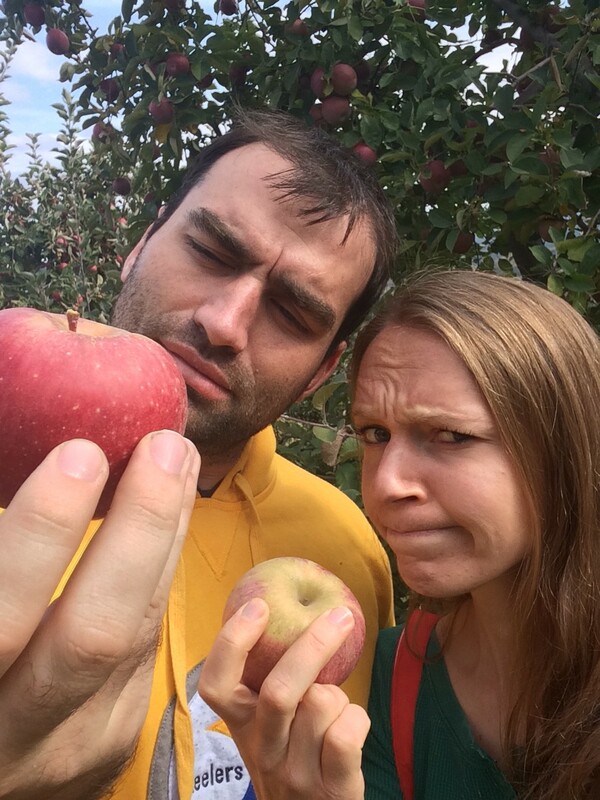 The Winesaps were abundant but most of them were pretty high up there, so good thing I have a 6’4″ husband with a wingspan that can reach any stubborn apple! The Staymans were a little slim pickins’ this year and required some tree shimmying on my part. Looking back, I probably broke some rules… but it’s all part of the fun! What does apple salsa go better with than pork? 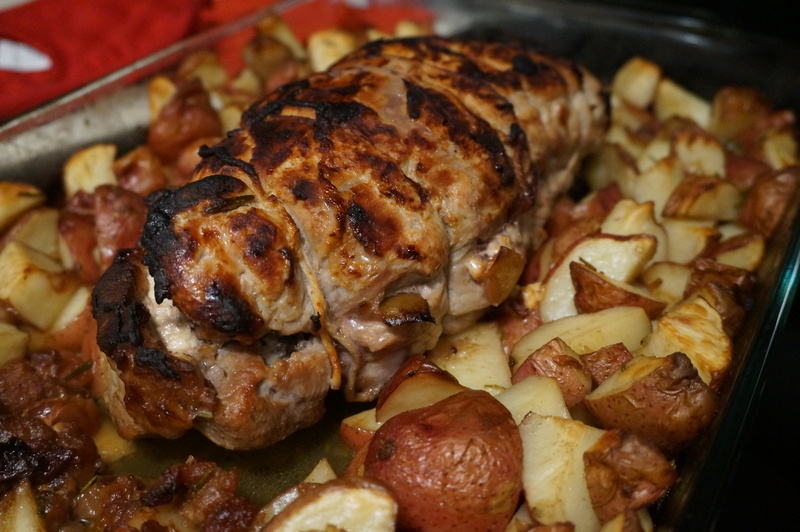 I made a similar pork tenderloin for a party last year and it was a major hit. I tweaked the recipe a bit this time and made a bigger batch of apple salsa in the crock pot, figuring I’d freeze some for later on this winter. 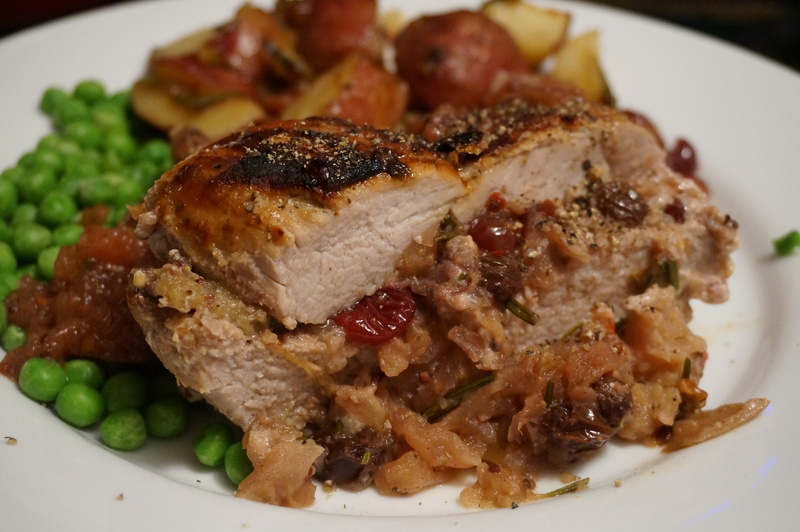 Serve the pork with more salsa, potatoes, and vegetable du jour! Happy harvesting! Serve with more salsa, vegetables and potatoes! Looking for a way to use up all those freshly picked apples? Look no further! 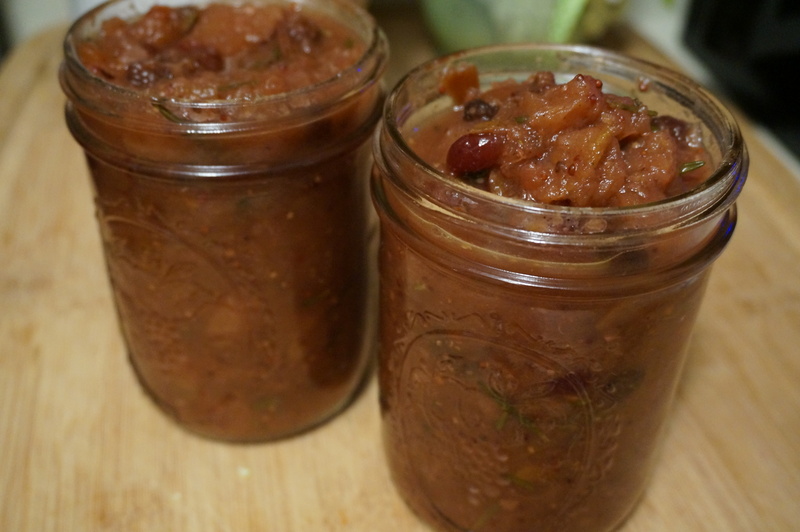 This apple salsa goes great with pork tenderloin, some crusty bread, or as a garnish for salads. 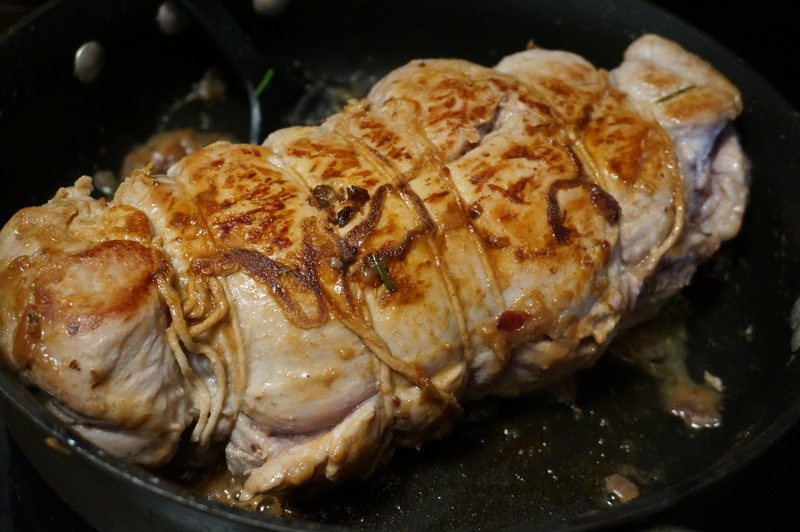 Butterfly open the pork tenderloin. Spread apple salsa (see recipe below) over the top of the bottom layer, followed by slices of goat cheese. 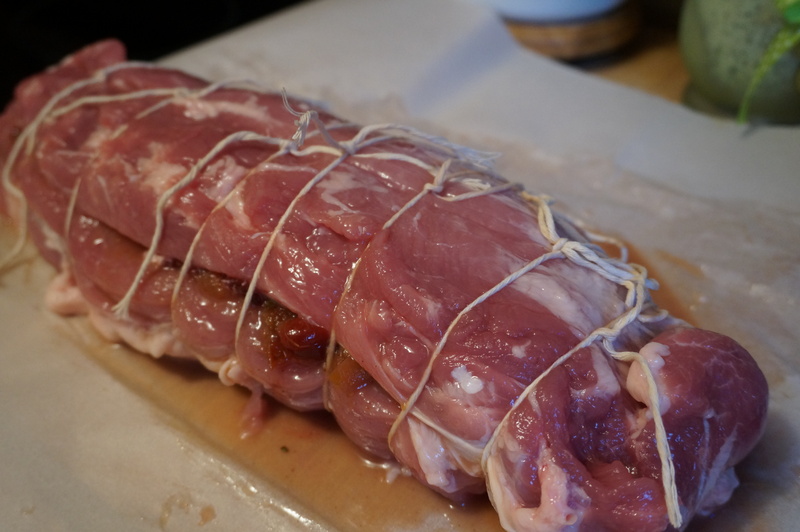 Replace the top of the pork and secure with kitchen twine. In a skillet, heat butter on medium high. 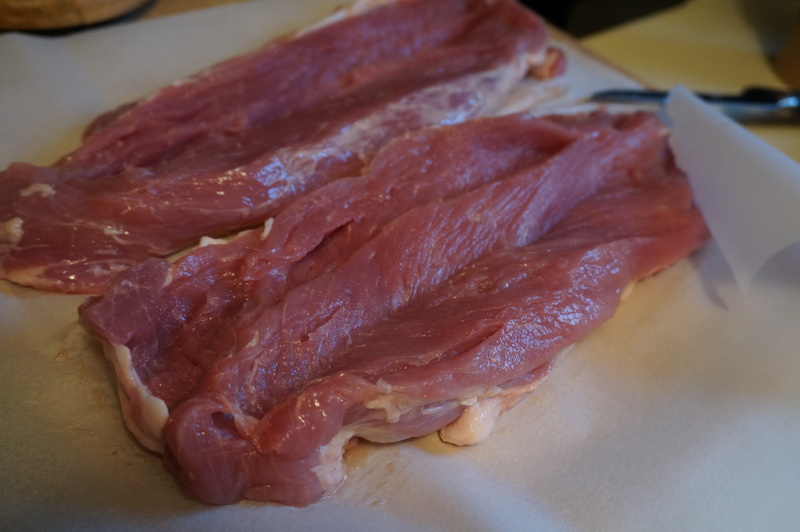 Sear the pork on both sides until browned, about 2 min per side. Cook at 450 deg for 40 min or until internal temperature reaches 145 deg. Allow to sit for 10 minutes before slicing. 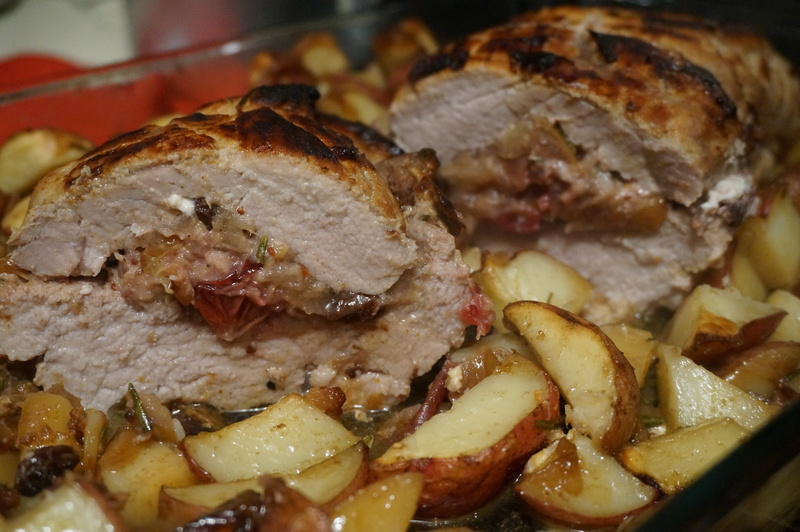 Serve with more salsa and roasted red potatoes on the side! 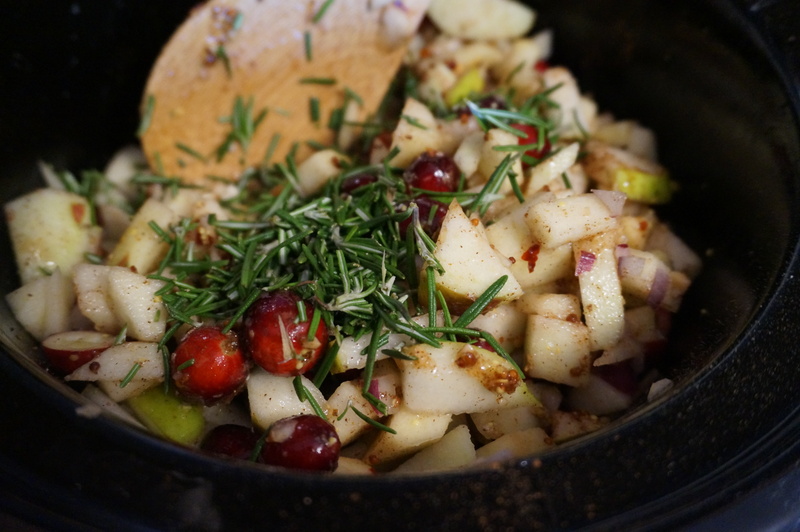 In a large bowl, combine apples, pear, cranberries, onion, and rosemary. Place 1 tbsp butter in bottom of slow cooker and set to low. 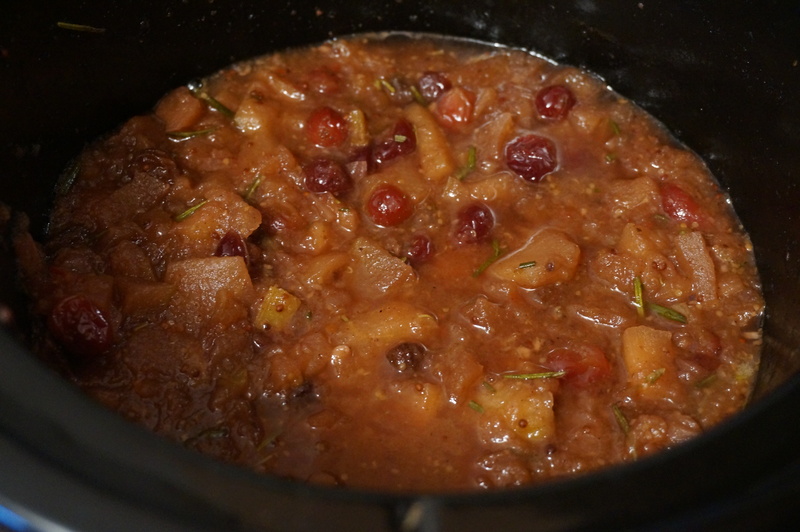 Pour the apple mixture into the slow cooker over the butter, then add the remaining ingredients and stir to combine. Cook on low for 5-6 hours or until the fruit has broken down completely (I stirred the pot halfway). Serve warm or cold over meat, salad, crusty bread, or as a side dish on its own! Prepare salsa ingredients and add to crock pot. Cook salsa on low for up to 6 hours or until broken down. Store salsa in mason jars until ready to use. 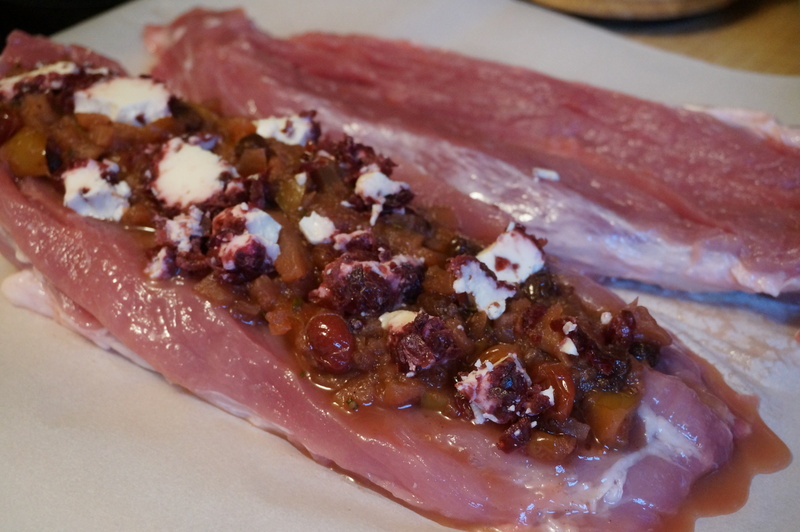 Spread salsa and goat cheese on pork. Sear both sides of pork, 2 min per side. Cook 40 min at 450 deg until browned and temperature reaches 145 deg.